Super-Shorty is a four-star craftable American Shotgun and is quite the adorable enforcer. She offers a good amount of utility through her Accuracy and Damage tile buffs, however her tile coverage does not generally allow her to efficiently make use of them. Shorty’s stats are also lacking as she sports 1210 HP with 20 Armor, which is not really enough for her to tank efficiently. While her Evasion is well above average for a Shotgun and helps her benefit from her Skill, it is still not high enough to really make a difference in her performance. Overall, this unfortunately makes Shorty a poor choice of SG when other SGs are available. She simply possesses too many weaknesses and not enough strengths to make her feasible to use conventionally, although she can be employed as a last resort. 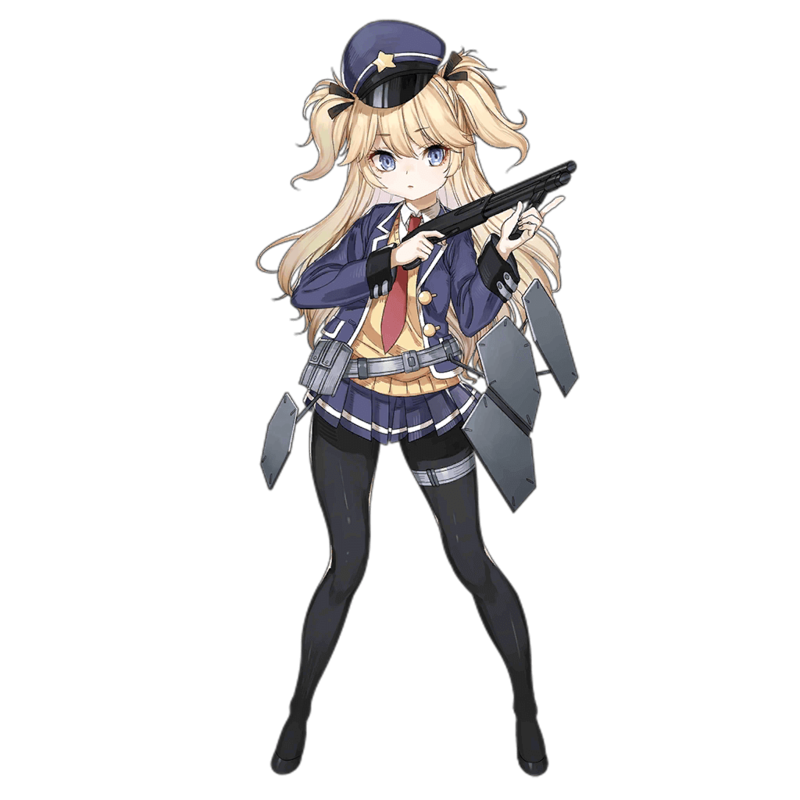 Super-Shorty offers an MG placed two tiles behind her a great mix of 15% Damage and 20% Accuracy buffs. Carrying 20 base Armor, Shorty is among the weakest SGs in this regard. This weakness has a big negative impact on her ability to tank which is practically the only job she has. Shorty possesses an HP pool of 1210, and is tied with RMB for the lowest out of all SGs. This further affects her ability to tank. Shorty’s Skill, while fairly decent in effect, has an abysmal Initial Cooldown of 10 seconds and will not see use during most battles. Shorty can only buff one MG 2 tiles behind her, and the placement of her buff is less than ideal as typically an MG would not occupy the spot she buffs. As one of the few Shotguns that are currently craftable through Heavy Production, Super-Shorty certainly does not have much competition in her class and has a fun design to boot. So how does she measure up to her contemporaries? The answer is… well… she could be better. Super-Shorty’s only real strength lies in the fact that she is a Shotgun -- because of this, she has some strengths inherent to her even if her performance as an SG isn’t the best. While SGs are supposed to act as tanks, Shorty’s low Armor and HP when compared to her class means that she struggles to compete with her contemporaries. Although she does have a relatively high Evasion of 19 (for an SG), this amount is really not enough to evade even the most inaccurate of enemies reliably. Her Skill also has an absurd Initial Cooldown of 10 seconds which is even more than most SGs, meaning that it will hardly ever help make up for Shorty’s stats. Super-Shorty’s tile buffs are sound as they consist of a 15% Damage and 20% Accuracy boost for MGs. This is the best pair of buffs any SG can bestow, but the coverage is simply impractical, as it forces one of two scenarios to make good use of them: either Shorty will have to be used in a 3MG Echelon composition while buffing a single MG out of the three, or, she’ll force an Echelon composition that employs 2SGs. While the first option has a negative effect on net damage output, the second is inefficient and very Resource costly. For these reasons it’s hard to find practical arguments to use Shorty, though of course she can be employed if no better options are accessible. 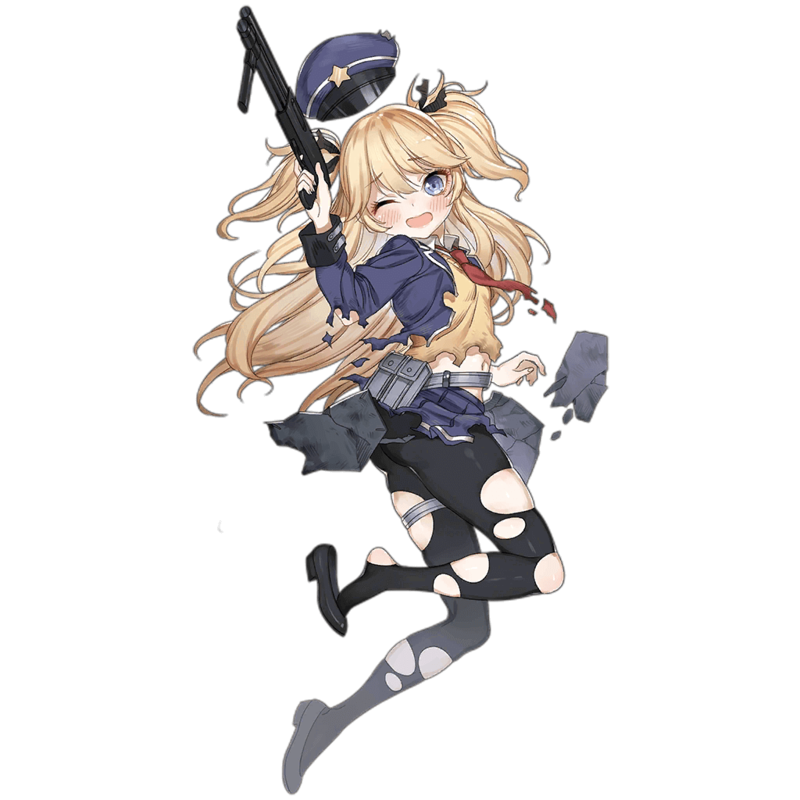 Shorty’s questionable stats and Skill require Echelons that use her to finish the battle before she has to do much tanking. Only the strongest of MGs can accomplish this feat, and it is therefore it is recommended to employ MG5, M2HB and/or PK while using her. M590, M500 and KSG carry nice tile buffs and placements that can support MGs and help alleviate Shorty’s shortcomings. Handguns with strong Damage and Accuracy tile buffs will help further buff MGs and will fill in for Shorty’s lack of buff tiles. SAA, MP-446 and Grizzly will prove useful here. 3MG 2SG Echelon compositions are far from efficient Resource-wise, but they are quite good at mowing down foes. A second SG is employed in this case to help mitigate Shorty’s shortcomings. 2MG 1HG 2SG uses less Resources to run than 3MG 2SG, but is just as effective, if not better. A third MG that is not adequately buffed can be outperformed by two well-buffed MGs, and is therefore not a necessary inclusion. The Super-Shorty is an american pump-action shotgun designed by Mark Serbu in 1989, it has been in production since 1996 by Serbu Firearms. The Shorty possesses a 20-gauge variant that is available on special order.